We offer a Ph.D. in Public Affairs and a Ph.D. in Environmental Science—ranking at the very top for doctoral program quality. You’ll make your degree your own with options to tailor your studies and research to the complex challenges that match your goals. You’ll work alongside senior scholars, gaining experience to advance your research at the highest levels and prepare future generations of leaders. You’ll gain a rigorous, comprehensive education that provides opportunities for interdisciplinary, collaborative research recognizing the connections between varying fields of theory and policy and employing a wide range of analytical methods. Explore the breadth of research areas our faculty members pursue in public policy, public affairs, and environmental science. Work with faculty, post-doctoral scholars, and fellow students to research critical issues. Share your academic research with peers and faculty in a supportive, professional environment. 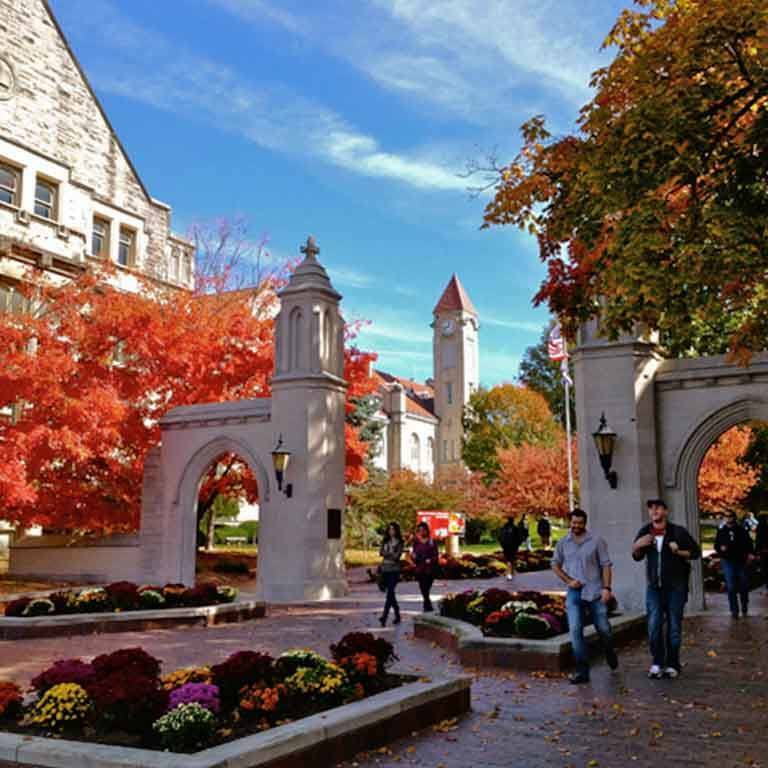 Living in Bloomington has its benefits—our accolades are many and Travel & Leisure, New York Times, livability.com, USA Today and others name us one of the “most beautiful college campuses” and “top college towns” with the “best work-life balance.” But, that doesn’t come with stress or a high price tag. This is a bikeable, walkable town with a cost of living below the national average and we offer generous financial aid offers, travel, and conference funding for our doctoral students. Nearly 90 percent of our graduates go on to obtain a tenure track position in a top program. Our graduates also further their research in high-level positions and as consultants. And, with more than 34,000 alumni from the O’Neill School, you’ll be able to leverage a network to help you advance. The O’Neill School’s program is the premier interdisciplinary program—but all of us are drawn together in O’Neill’s rigorous methodological approach to conducting research that can meaningfully contribute to our fields and influence policy.